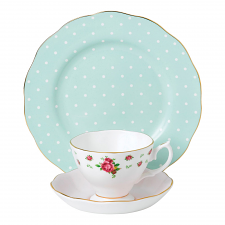 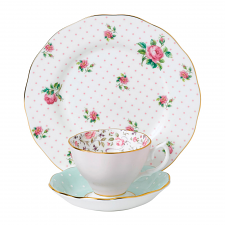 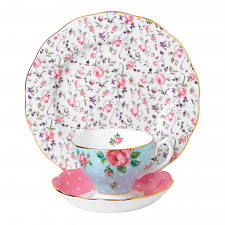 Royal Albert has a 100-year old tradition of creating beautiful floral patterns that follow the fashion of each period. 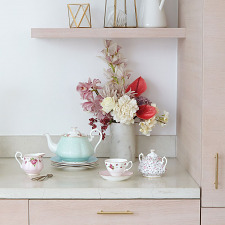 Its wonderful design archive reflects different variations, colours and motifs through the decades and includes some enduring floral favourites that have become timeless classics. 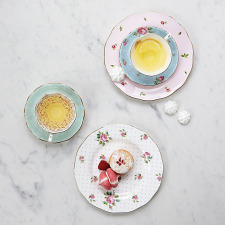 Reflecting a contemporary trend for creating eclectic mix and match teatime table settings, these vintage patterns have been re-imagined in a modern and authentic way. 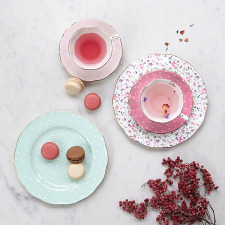 Providing three different yet complementary patterns in 3-piece tea sets, these ready-made place settings form a colourful and decorative table top. 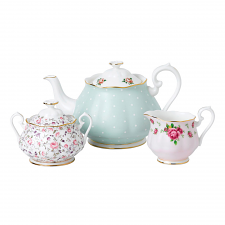 To complete the charming teatime collection the teapot, sugar bowl and cream jug set, the most English of traditions. 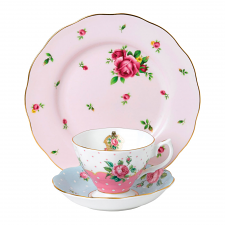 Produced in quality fine bone china to the highest quality standards, each piece is luxuriously finished with lustrous 22 carat gold and presented in Royal Albert signature boxed gift sets, ideal to give as a gift to friends and family or as a treat for yourself.